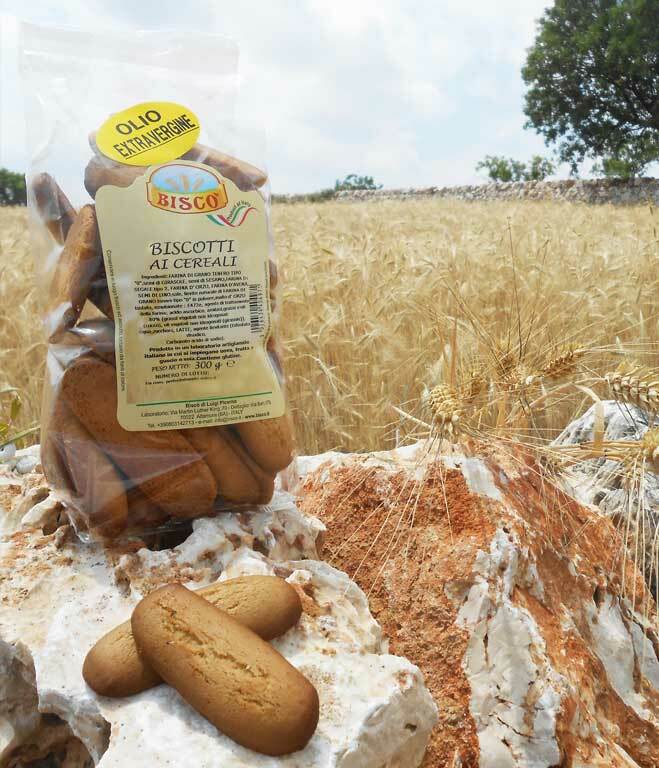 The company Biscò has always been close to the needs of its clients by proposing high quality Products. 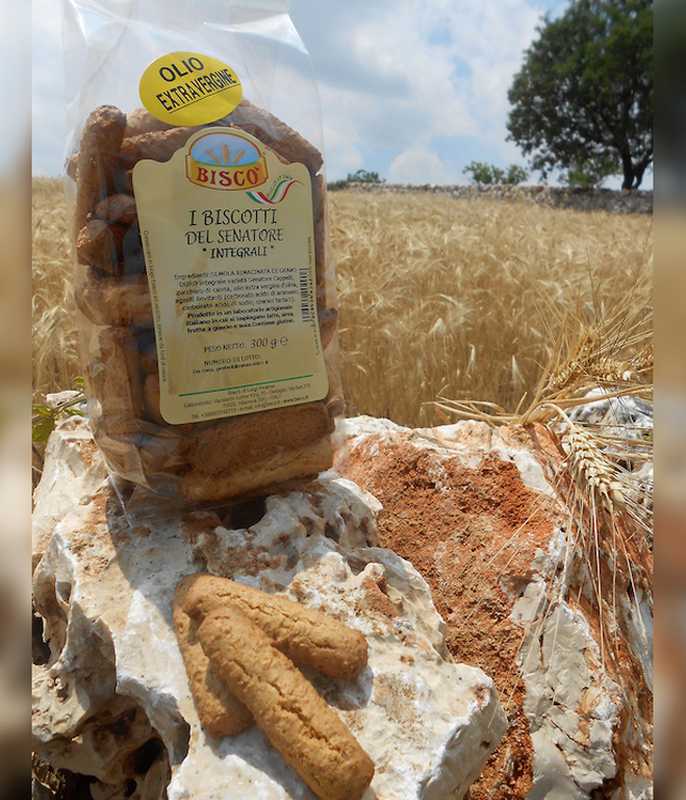 Nowadays, with new line of “ Healthy Products”, Biscò approaches further to its clients, cuddling him with simple and genuine ingredients coming from the territory of belonging, Apulia! We selected for you, the best Semolina and cereals, Best quality Extra virgin Olive Oil, completely excluding additives, preservatives or GMO ingredients. Ingredients: whole durum wheat re-milled semolina variery Senatore Cappelli, brown sugar, Extra virgin olive oil, leavening agents. 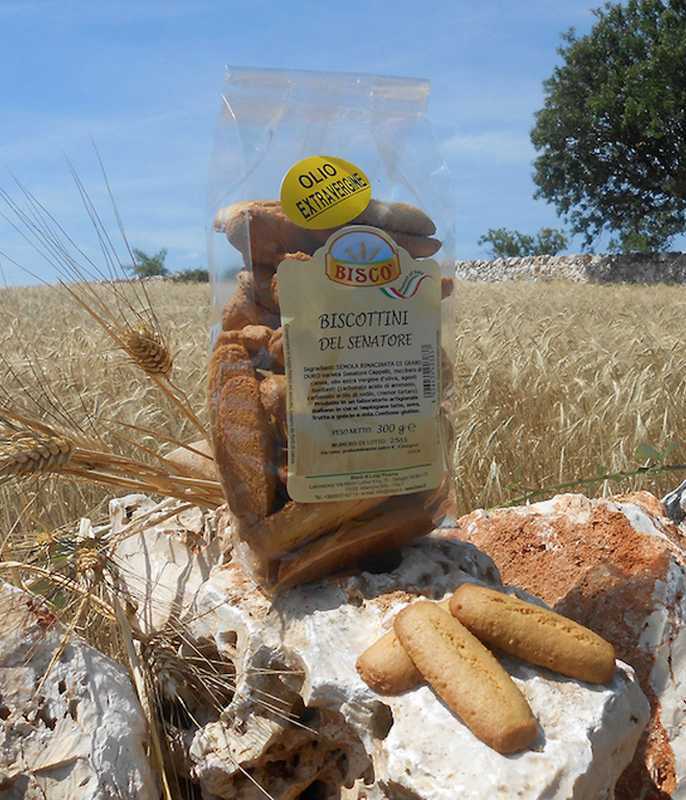 Ingredients: re-milled durum wheat semolina variety Senatore Cappelli, brown sugar, Extra virgin olive oil, leavening agents. Ingredients: Re-milled Semolina durum wheat, multi grain mix (soft wheat flour, sunflower seeds, sesame seeds, rye flour, flaxseed, barley flour, oat flour, natural yeast wheat flour powder, salt, malted wheat flour, amylase), brown sugar, extra virgin olive oil, leavening agents.